Image taken from a boat on the Cuiaba River in The Pantanal in Brazil. 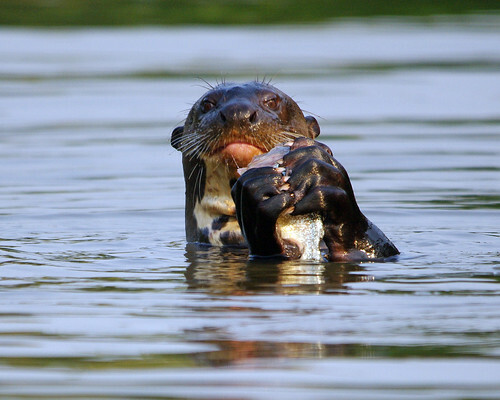 These otters eat their fish while swimming on the surface of the water. Giant river otters can reach five feet in length. Family groups active during the day in remote rivers and oxbow lakes. Featured on the front page of the Amazing Nature group for the month of January 2013.